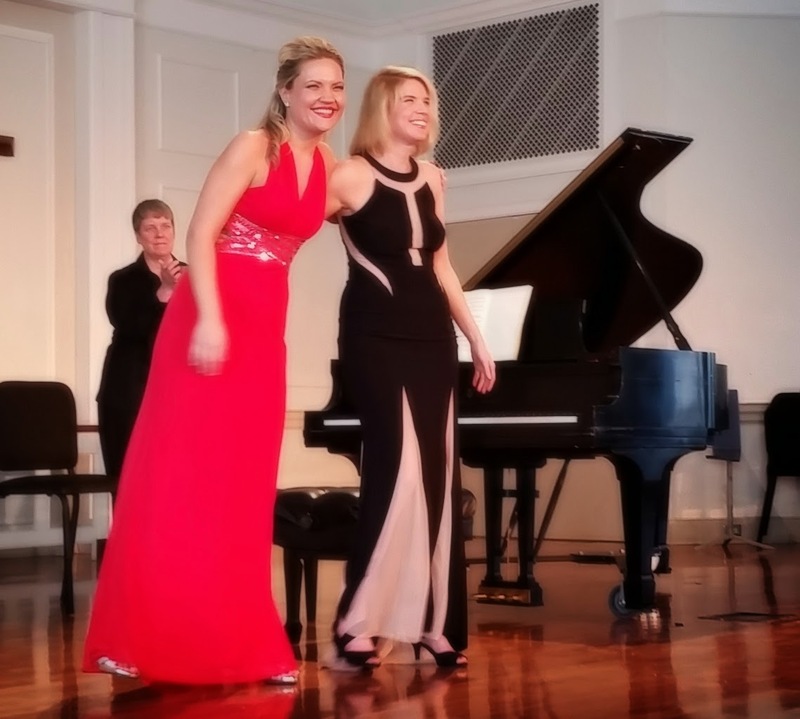 When pianists Julie Coucheron and Elizabeth Pridgen are scheduled to perform together, one can expect roses and this past Sunday was no exception. 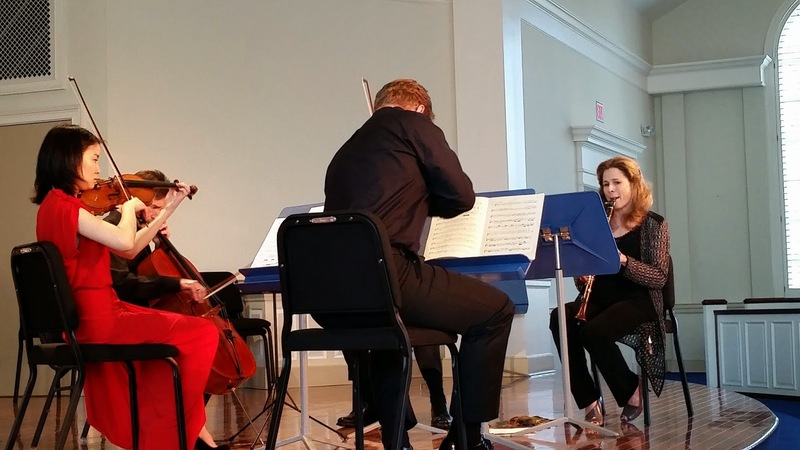 They played together in a Georgian-Chamber Players Concert at Atlanta's Peachtree Presbyterian church. 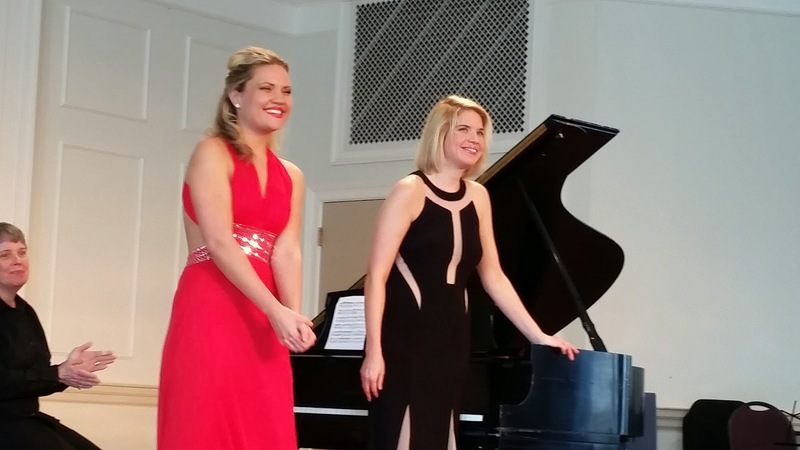 The program included Mozart's Sonata in D major for Piano Duet. This piece was written when Mozart was 16 years old. It is a short pleasant piece that lacks some of the Baroque-inspired ornamentation and fussiness that characterized pieces from Mozart's later years. The duo pianists played with elan and technical strength. An arrangement of Rachmaninov's Vocalise was the second work. For what sounds like a fairly simple work presented many technical difficulties for the pianists. There hands had to invade each other's space, which with lesser pianists, could have been a disaster. At some point, one of the pianist's fingers were playing the white keys while the other was playing the immediately adjacent black keys. In spite of the complexity, the gorgeous Vocalise melodies came through wonderfully. This was followed by Ravel's original dual piano version of the La Valse. 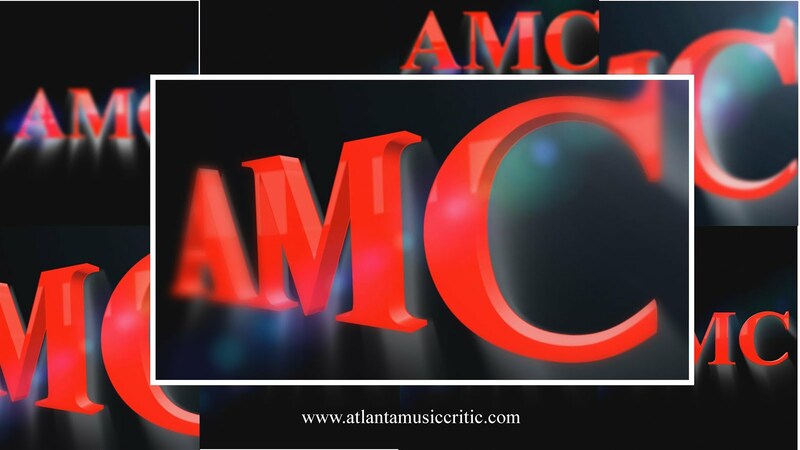 AMC likes this version of the work because it can be lighter and more transparent that the orchestrated version. It takes a special conductor who can make the heavy orchestration sound light and dance-like (Ormandy could!). Coucheron and Pridgen had no problem with getting this music just right. Again their technical skills were evident, but they just didn't play the notes- they played the music. The final work of the recital was Brahms Quintet in B minor for Clarinet and String quartet, played by Laura Ardan, David Coucheron, Ji in Yang, Reid Harris, and Christopher Rex. Given that all of the performers, save Ms. Yang, are principals with the Atlanta Symphony Orchestra, one can anticipate technical skill as well as great musicality. 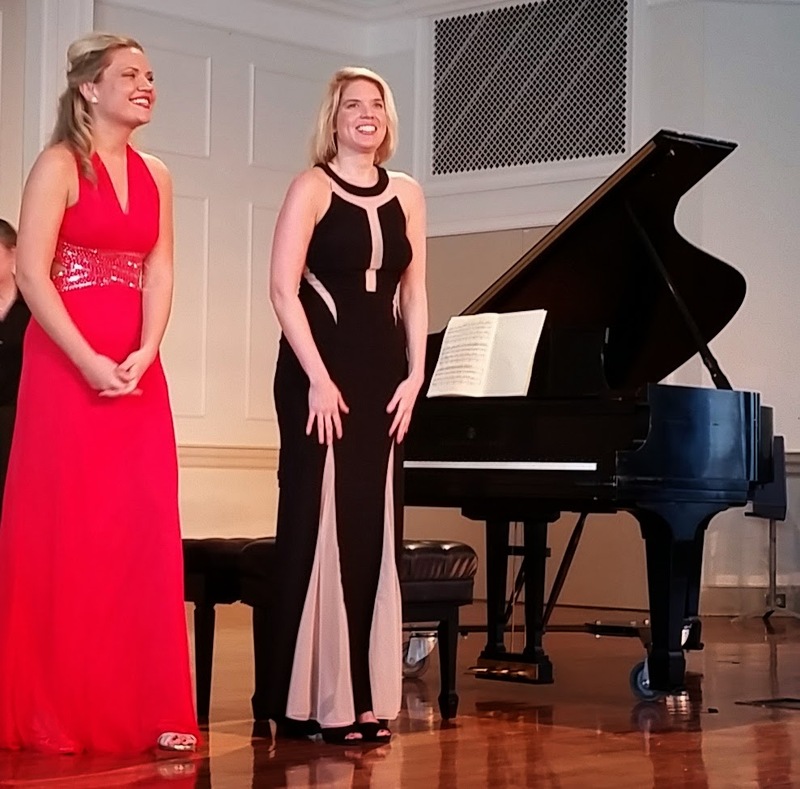 This performance delivered the goods, highlighting the beautiful melodies and harmonies of Brahms. There was one errant squawk from Ms. Ardan's clarinet, which was astounding given that she plays impeccably. But that was not enough to derail the performance. AMC's only regret was that there were not more people in attendance. The crowd seemed to number maybe 75 to 100. 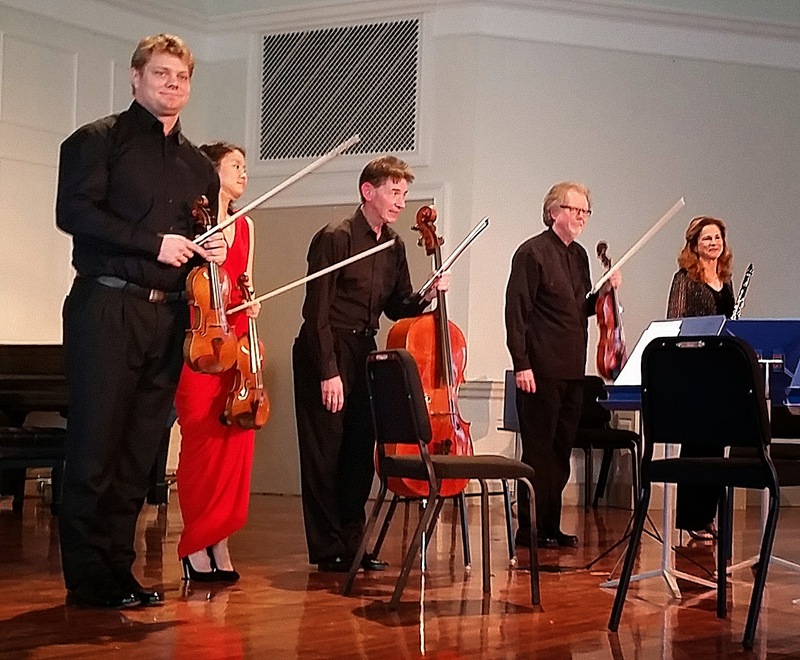 Atlanta is fortunate to have two premier chamber music ensembles (the Georgian Chamber Players and the Atlanta Chamber Players) and those who love music with small ensembles in intimate spaces should not miss either.